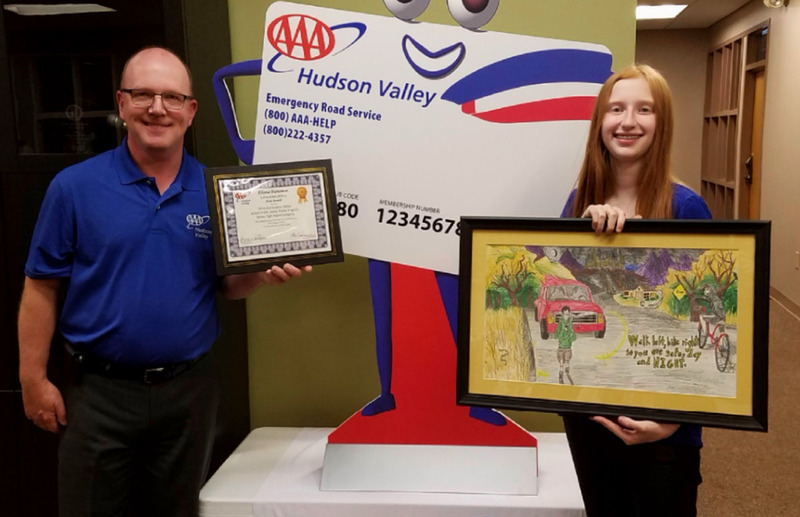 Eighth grader Eliana Bieneman won the 2018 AAA Hudson Valley Traffic Safety Poster Contest last week in Albany for the second year in a row. She received the “Club Award” which is the top award given out. Ms. Bieneman’s poster depicted the message “Walk Left, Bike Right” and was professionally framed by AAA.